In 1951 Ceredigion: Journal of the Cardiganshire Antiquarian Association started. 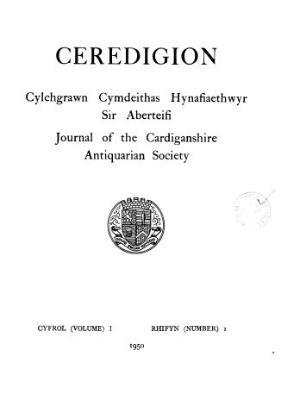 In 2002 it was renamed Ceredigion: Journal of Ceredigion Historical Society. It contains historical articles and book reviews. It includes society notes. It is mostly in English but there is some Welsh-language content. It was published between 1951 and 2002.